Sahaja Yoga Canada (VND Educational Society). Her Holiness Shri Mataji Nirmala Devi, international spiritual leader and founder of the worldwide meditation movement Sahaja Yoga, passed away peacefully on 23rd February in Genoa Italy. She was 87. From the villages of India to the great cities of the world, she will be remembered for her grace, dignity and loving guidance. Born in India of a royal dynasty, as a child she conferred with Mahatma Gandhi, living for a time in his ashram. As a young adult, She was both a medical student and a freedom fighter at time of the India's independence movement of the 1940s. Later, married to a distinguished United Nations diplomat, she relocated to London and travelled internationally. It was only after her family was grown and settled, that she embarked on an even more extraordinary mission: an international spiritual awakening. Shri Mataji was born to Christian parents in central India. She knew from a very early age that her unique spiritual gift needed to be made available to everyone. In 1970, Shri Mataji discovered a method of en-masse Self Realization, through which thousands of people could achieve union with the deepest aspect of their being. Sahaja Yoga was born and Shri Mataji dedicated her life to the world's spiritual ascent, travelling the globe and teaching meditation. She reclaimed the role of women in the spiritual realm and lay the groundwork for a society based upon an enlightened awareness. It was a new meditation for a new era of spiritual awareness and seeking. In a departure from the norm, she charged no money and instead insisted that her offering was a birthright which should be made available to all who desired it, at no cost or risk. "There can be no peace in the world," she often said, "until there is peace within." For the forty years, Shri Mataji travelled the globe, teaching meditation. Her message was both compassionate and direct. She was the recipient of numerous awards and commendations worldwide. In India, she established a holistic health and research centre, an international cancer research facility, a home for destitute women and children and an academy of international music and art. Although at birth she was named Nirmala, meaning immaculate, she eventually came to be known as Shri Mataji Nirmala Devi, the title of a honoured and revered mother. She is regarded by many as the most significant spiritual figure of our time. Regardless of race, religion, age or status, it is estimated that millions of people have now learned how to tap into their inner spiritual power through Sahaja Meditation, discovering a new balance in their lives. At meditation centres in more than eighty countries, her legacy lives on, with volunteers continuing to teach her meditation techniques without charge. In the same generous spirit that she exhibited, those who have been helped go on to assist others, like one candle lighting another. Shri Mataji was described as "an avatar of the modern era" by Claes Nobel, grandnephew of the creator of the Nobel Prize. In the hearts of many, Shri Mataji will remain the all-compassionate Mother. She is remembered by her words, "You cannot know the meaning of life until you are connected to the power that created you." It is that connection that she sought to give to so many. This month Shri Mataji would have celebrated her 88th birthday on March 21st. Canadians who knew her from her numerous visits to Vancouver and Toronto will be observing this anniversary with memories of the changes she brought to all their lives. About this company Sahaja Yoga Canada (VND Educational Society). 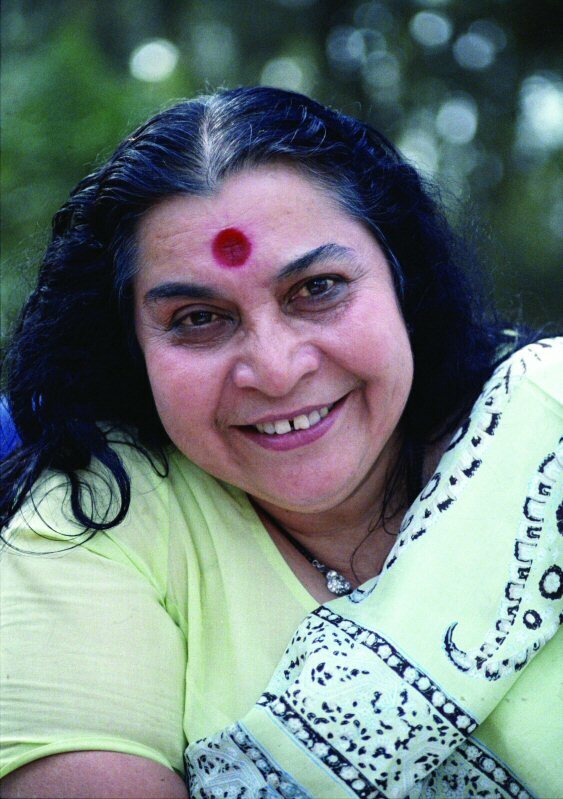 Shri Mataji Nirmala Devi, international spiritual teacher of meditation and Founder of Sahaja Yoga, dies at age 87 in Genoa Italy. In 1970, Shri Mataji discovered a method of en-masse Self Realization, through which thousands of people could achieve union with the deepest aspect of their being. She is remembered by her words, "You cannot know the meaning of life until you are connected to the power that created you." It is that connection that she sought to give to so many.